Pope Paul III was pontiff of the Roman Catholic Church at the time the Treatise on the Power and Primacy of the Pope was published. Early in February 1537, John Frederick the Elector of Saxony summoned a meeting of the Smalcald League [A league of faithful Lutheran princes (Dukes and Electors) who pledged their support and military strength to defend Lutheran churches from being overthrown by papal forces]. There, a proposal was made to write a statement about the power and authority of the pope. For political reasons the Reformers had refrained from saying anything about it at the Diet of Augsburg in 1530. 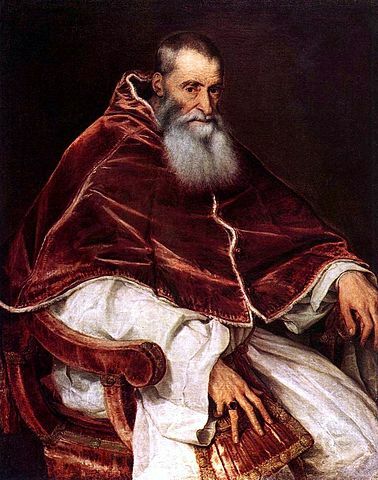 However, the question needed immediate discussion as Pope Paul III had summoned the council of the church to convene in Mantua later that year. The next section of the treatise explains why the pope carries the marks of the Antichrist or “an adversary of Christ” (2 Thess. 2:3-4). The pope claims for himself a threefold divine authority: the right to change the doctrine of Christ; the jurisdiction over souls not only in this life but also after this life; and the authority above the decisions of councils and the whole church. A special appeal is made to the chief members of the church, the kings and the princes, to ensure that errors are removed and consciences healed. There are weighty and compelling reasons not to obey the pope. The second part of the Treatise deals with the power and jurisdiction of bishops. The tasks of preaching the Gospel, administering the sacraments, and exercising jurisdiction belong, by divine right, to all who preside over the churches—pastors as well as bishops. The distinction between bishop and pastor is not by divine right and accordingly an ordination administered by a pastor is also valid. Since the bishops were unwilling to ordain evangelical pastors, the churches retained the right to ordain for themselves, for preaching the Gospel, which is the primary concern of the church, should not be neglected. The Treatise gives us a great freedom concerning forms and structures of ordained ministry as long as these serve the Gospel. This freedom allows the creation of new forms of ministry in response to the needs of modern societies. Further, the Treatise encourages and challenges us to consider the ordained ministry as grounded in God’s saving purpose. The ministry is part of God’s intention to realize this saving purpose through outward means. Thus, the Treatise helps us to sail safely between Roman sacramental hierarchicalism and congregational functionalism. You can read an older translation of the Treatise on the Power and Primacy of the Pope online here for free. For an up to date translation that’s easy to read, check out The Book of Concord – A Reader’s Edition from Concordia Publishing House.